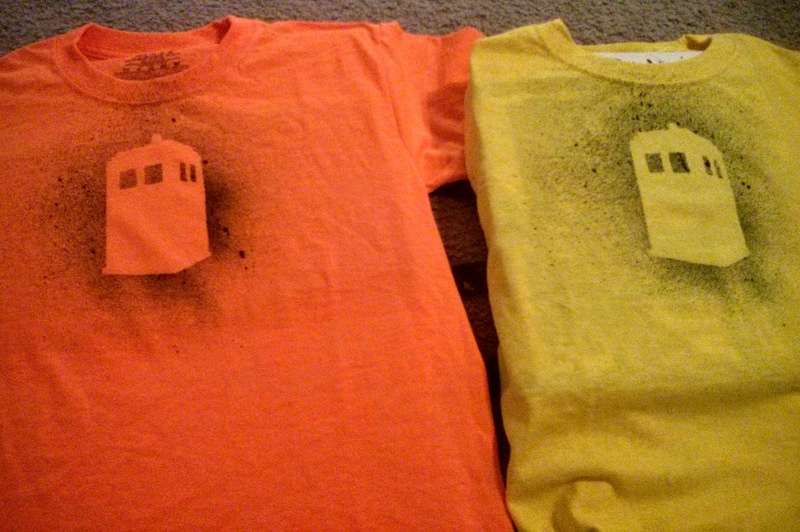 I know two boys who love Doctor Who as much as I do, and I decided to make them a Doctor Who shirt using freezer paper and fabric spray paint. I followed the exact same method with my Doctor Who shirt except I used black fabric spray paint. 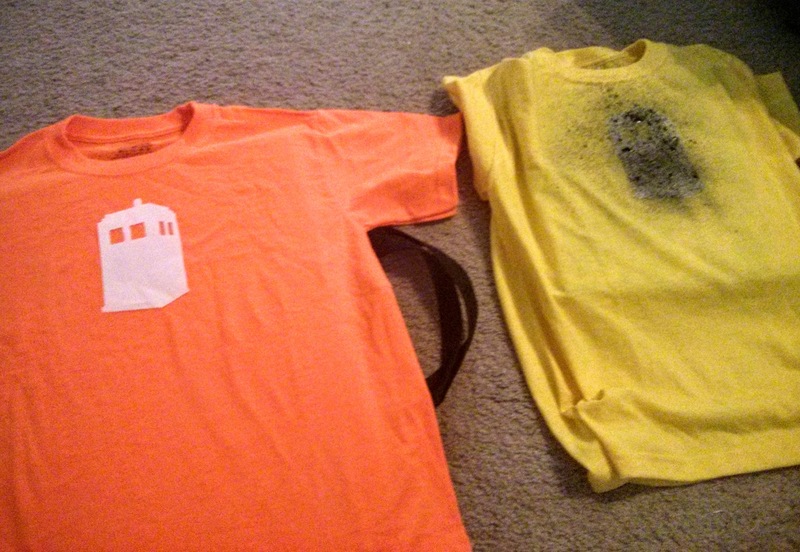 I intentionally chose bright-colored shirts for the boys, knowing black paint would be used. I printed out a simple design of the Tardis, cut the shape out on freezer paper, ironed the freezer paper Tardis to the shirts, inserted cardboard between the shirts to prevent the paint from bleeding to the back, and lightly sprayed black paint over the freezer paper. After the paint dried, I peeled off the freezer paper and threw both shirts into the washer for a quick spin. What a fabulous idea! my sons love Doctor who!